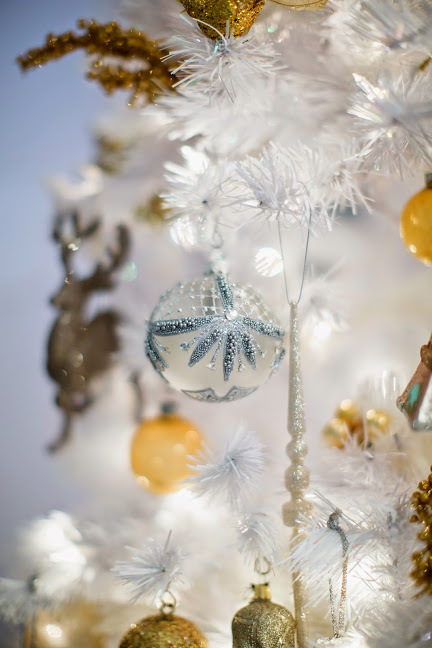 Treetopia contacted me recently and asked me if I would like to choose and decorate a white Christmas tree. 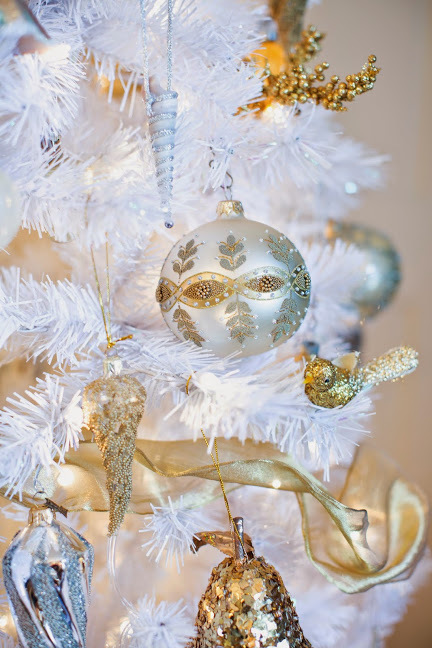 I was excited to do so because I thought it would be a great opportunity to use a beautiful collection of vintage silver and gold ornaments in my collection. Here is the finished tree; I hope you like it. In addition, Treetopia has a little contest for my followers. 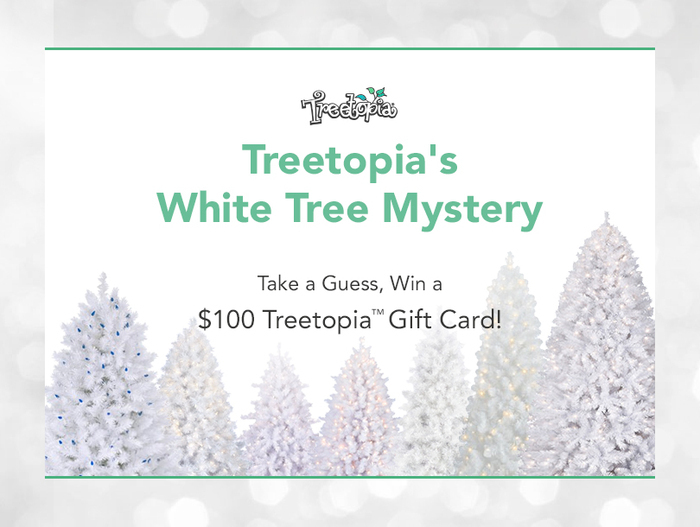 If you pop over to their website and look at their selection of white trees and guess correctly which of their white trees I chose, you will be entered to win a $100 gift card from Treetopia. Just leave a comment on this post with your guess. Which tree did I use? Wow. Your tree looks great. I am guessing Winter White Cashmere? Your tree looks BEAUTIFUL! (And I covet the garden stool next to your sofa <3 ). I think you have the 7' Whisper White Cashmere Tree. This tree is BREATHTAKING!!! 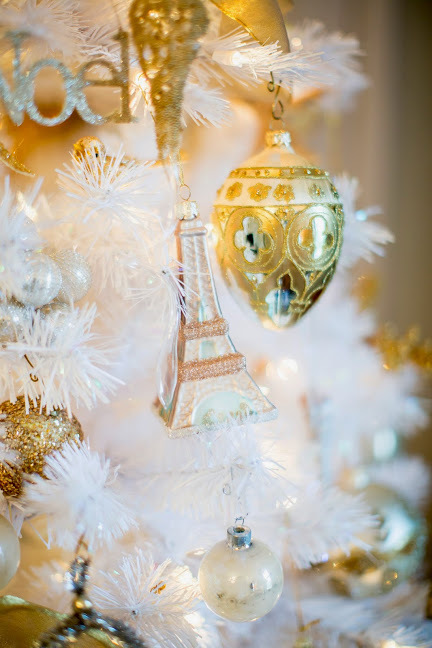 The gold and silver are completely amazing, framed by the beautiful white tree. I've gone back and forth on which tree & honestly cannot tell....so I am going to guess Moonlight White (even though the Whisper White Cashmere SOUNDS like YOU!) Whatever the case: I would DEFINITELY do business with THIS website in the future!!! Gorgeous offerings!!! Looks beautiful! I think the tree is the Whisper White Cashmere tree. 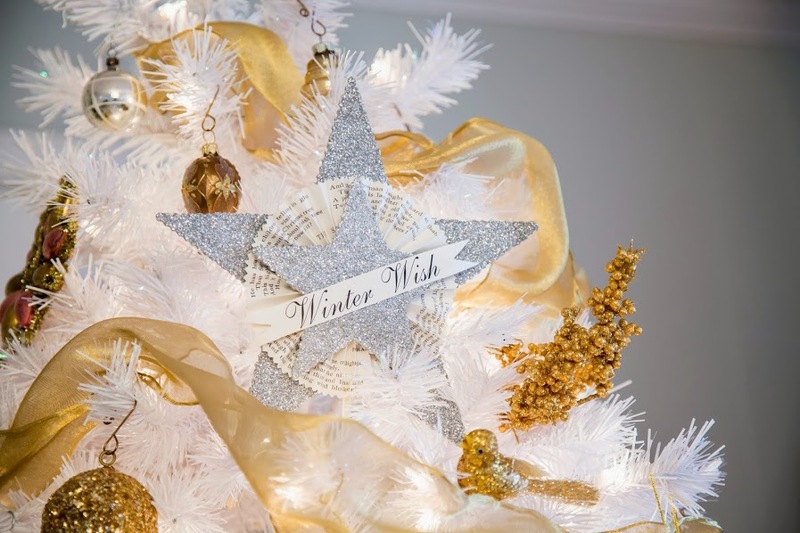 another vote for the Whisper White Cashmere Tree -- yours looks lovely. 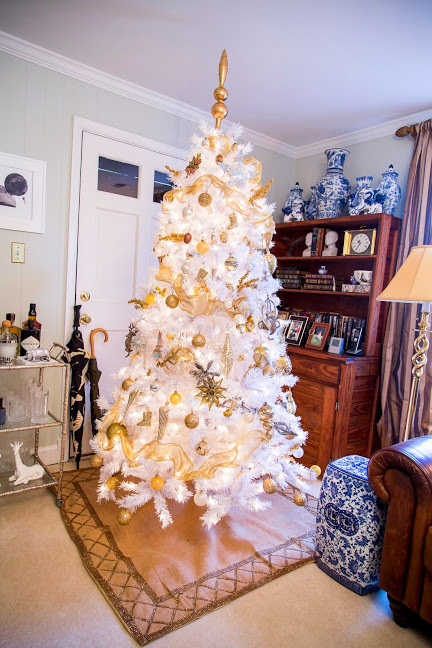 Beth, your white, gold and silver tree absolutely sparkles. 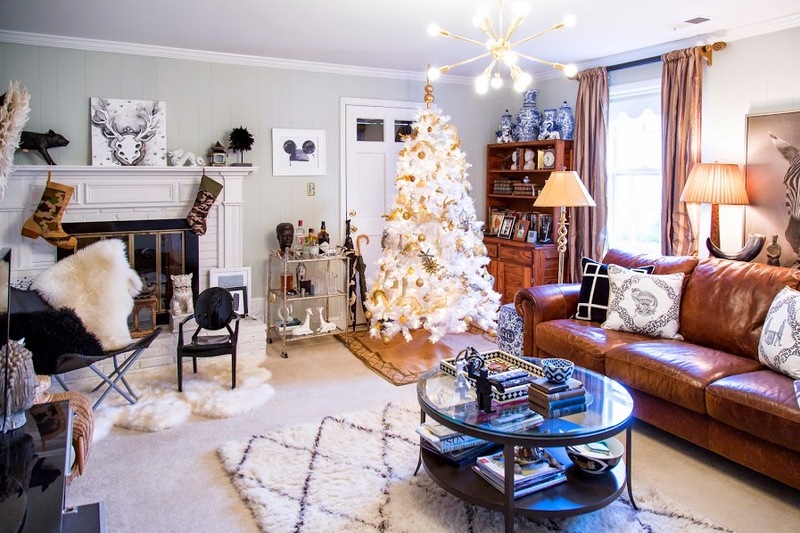 Yours is the first square tree skirt I have seen, and it works well in your husband's man cave. My guess is the 6' Arctic White Christmas Tree. Merry Christmas and a Happy and Prosperous New Year to you and your family. Cheers! Beautiful job! Even the man cave gets a little bling. Love that. 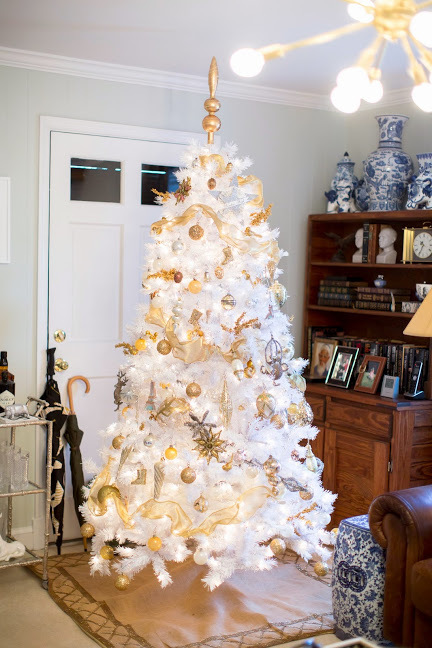 I'm going to diverge from the other comments and guess the Moonlight White Christmas Tree because the shape of the branches looks a little Pagoda-"ish" to me! Thanks so much for your daily dose of inspiration to us all. Lovely tree. I think that it is Whisper White Cashmere Tree. So elegant! Whisper White Cashmere. 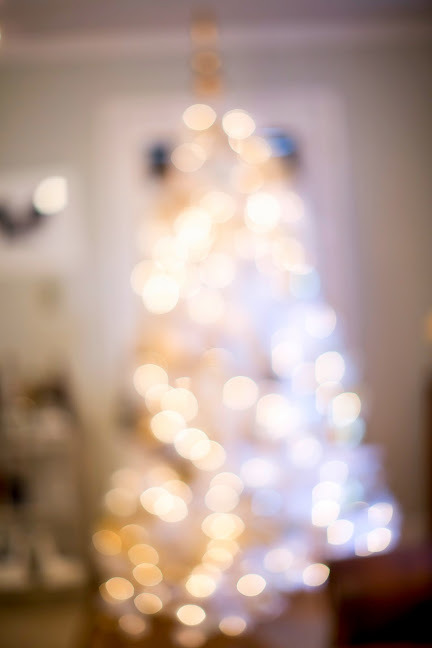 Moonlight White Christmas Tree. 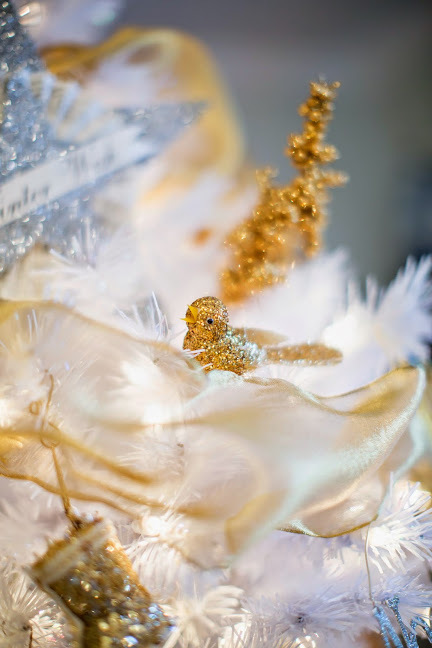 Your tree is exquisitely decorated! I think your tree ia the Moonlight White tree. 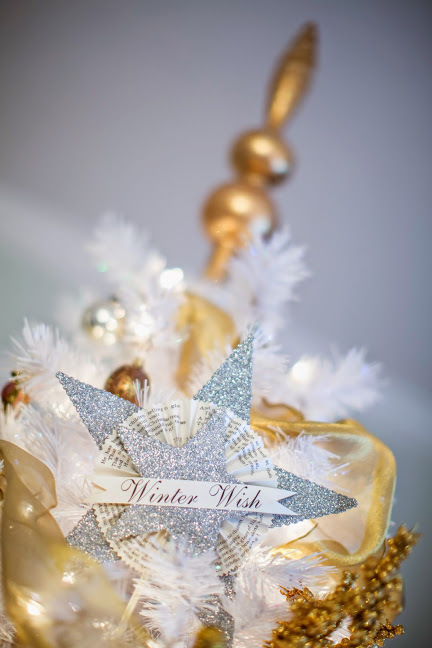 I love the gold and silver decorations. Exquisite. 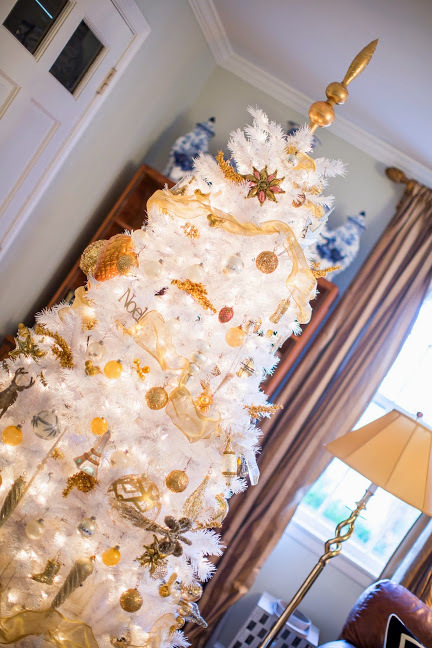 Your tree and your entire house look absolutely beautiful! I guess the cashmere tree. I'm going to go out on a "limb" here and suggest the Treetopia Basics White tree. I love the White Cashmere but I think it might be the other one. Fingers crossed! Wait. I change my mind. I think it is the Whisper White Cashmere. It just has a warmer tone to it. Ugh. Ok, Beth...time to fess up and tell us which one you decorated!